This little grotto has two streams of water flowing down into a little pool. It is almost covered with ivy vines creeping all over it. 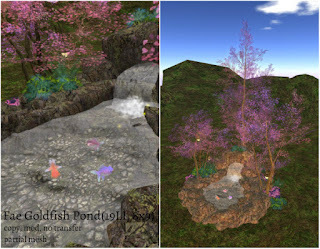 The grotto, plants and landscaping is 56LI and the base is 1LI. 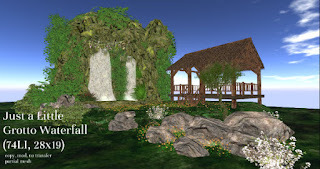 A little covered pergola on stilts sits next to the waterfall. It is a place for relaxation and contemplation. 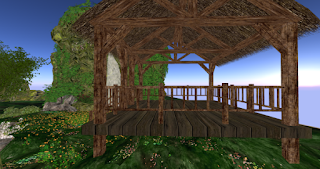 The pergola is 9x7 and 17LI. Just a Little Grotto Waterfall is copy, mod, no transfer and partial mesh. Some scripts are no mod. It is now available at my in-world store for 99L store and the Marketplace. 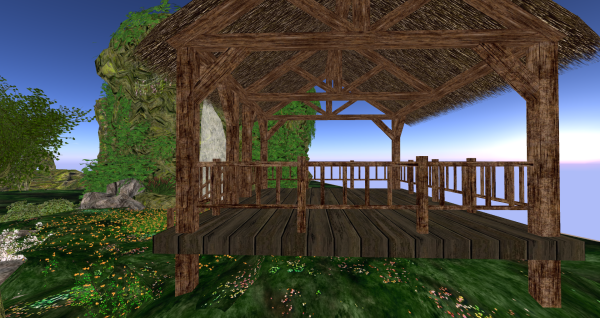 A demo is available for viewing at my in-world store. I have also made a Fae Goldfish Pond which is 19LI and 8x9. 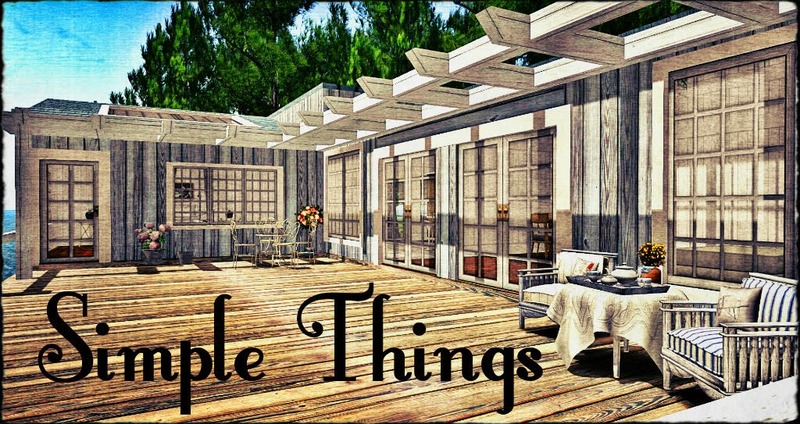 It is available for 59L at my inworld store and the Marketplace. A replica is available for viewing at my in-world store on the lower level.